Below is a list of road trip essentials! 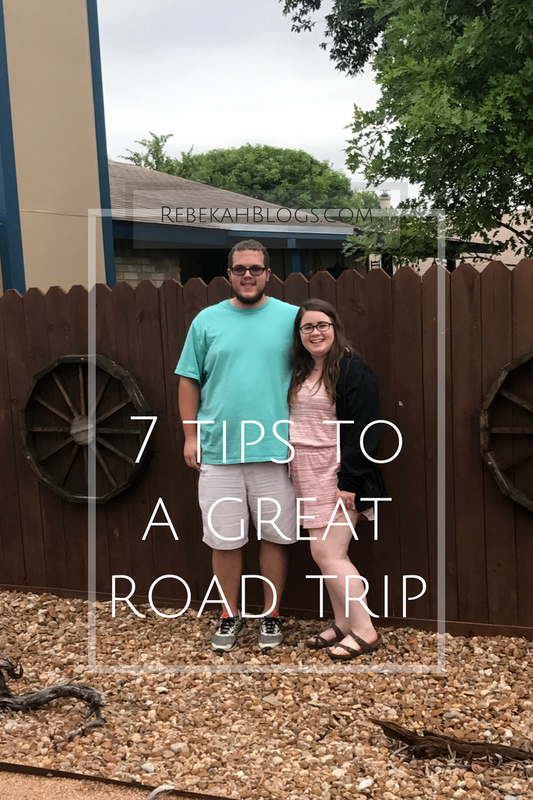 Be sure to check out my blog about your trip to Austin! The vlog includes more in the car footage since this post is about road tripping and not so much about destination check out the vlog here! CHARGER! I feel like this is the most important thing! When you’re road tripping and you’re taking pictures, playing music, using GPS all of these things wear down your battery. Wear something comfortable, but cute! I suggest a romper or cute cotton shorts. Unless you want to change when you reach your destination wear something that’s comfortable and stylish. Of course, it depends on what you’re doing for the day, but dress for the occasion and keep in mind the travel time. Make a rocking playlist. Think about who you’re traveling with and make music that both will like and enjoy. Bring waters. I feel like that’s the one thing we would spend the most money on during trips, but it’s something that is so easily can be brought from home. Make sure you’re gassed up and have jumper cables in case something happens. Bring a little bit of cash as well as a backup if something happens to your debit cards. Don’t forget toiletries. When I am just gone for the day I forget some basic things I need. I’ll bring Tylenol and feminine products. But, also a hairbrush and deodorant if I know I am going to be active during the day. I always make sure to have my chapstick with me as well! Enjoy yourself. I feel like road trips can be so stressful if you get lost or trying to make it to certain places on time, but just relax and enjoy the time and the scenery. It is such a blast to be able to go out and explore a new area.